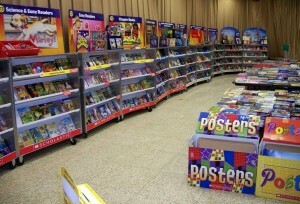 It’s BOOK FAIR WEEK at school! Since our school is so small our book budget follows suite. 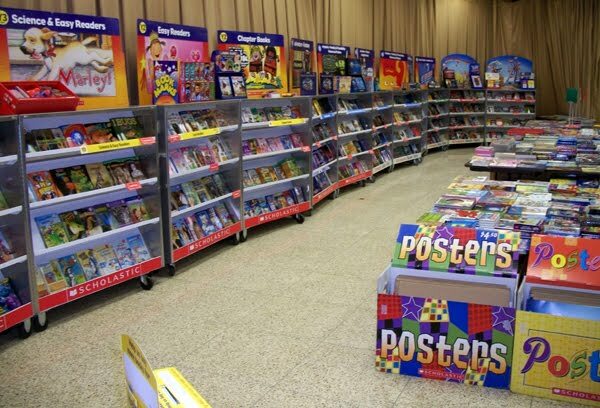 But each year some of the parents organize a Scholastic book fair so we can use the proceeds to get new books for the library. The students LOVE the book fair and its always such a fun week. I got to work there today and I usually spend more than we make, but that’s OK. My girls love browsing for new books to buy (and OK, so do I!) I came home with some new YA books I can’t wait to crack open. Of course we have a ton of snow coming this week so hopefully we make it to school every day – but you never know here in Ohio. Waking up to Wall-E	What’s up with the holey knees?